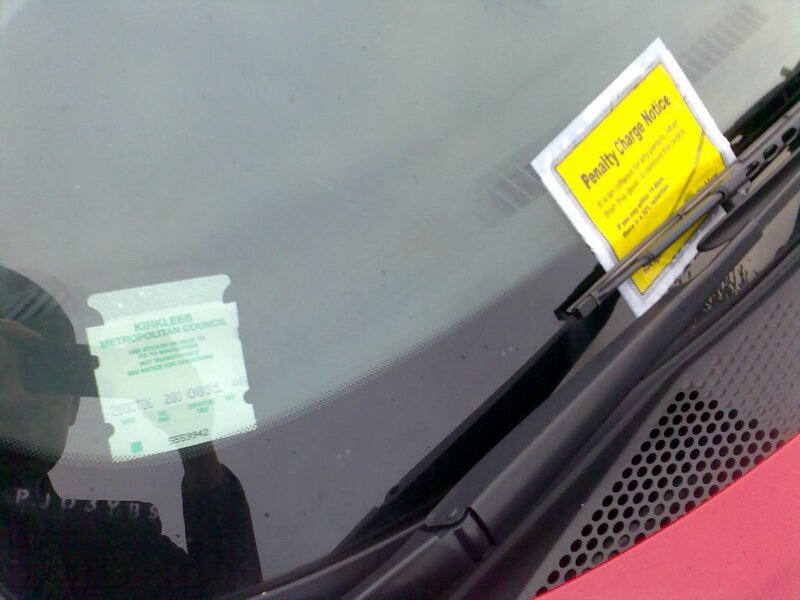 Toph's Blog: Aren't Traffic Wardens Such Nice People? As a special treat Blog fans, you get a rare picture post. The picture above shows my little red car with a ticket on the left and a penalty charge notice on the right. 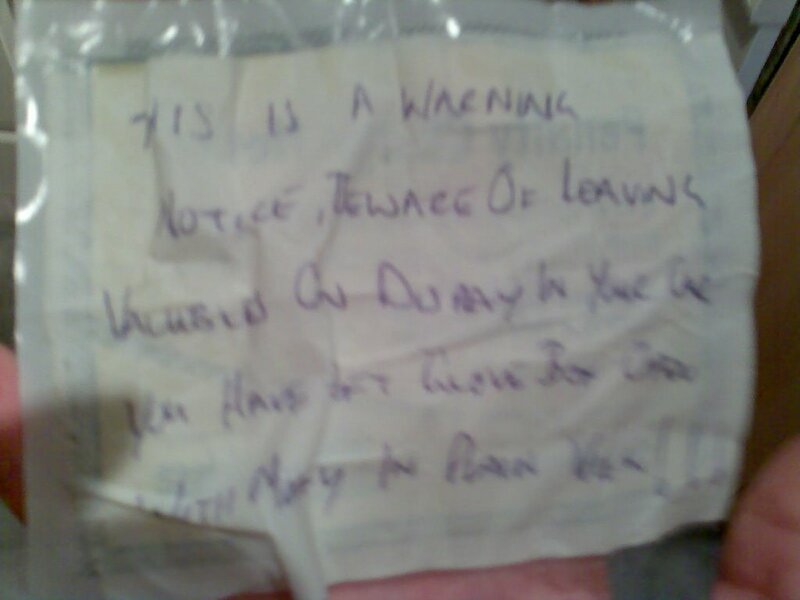 This happened last Friday when I was in Sheffield in the work car for the day and I was very angry to find ths on my windscreen so I got my new 2 megapixel camera phone out for proof I had indeed got a ticket. Look at it! "THIS IS A WARNING NOTICE. BEWARE OF LEAVING VALUBLES ON DISPLAY IN YOUR CAR YOU HAVE LEFT GLOVE BOX OPENWITH MONEY IN PLAIN VIEW!!!" So grammar isn't his strong point but that's not really the point. Sure enough when I'd got my driving glasses out earlier I had left the glove box open with a bag of coins in plain view. I didn't know they were there. I think they must have been put there about a year ago and I'd just forgotten. Anyway if any burglars are reading, it's no longer there and I've learnt my lesson. Maybe it's a lesson to all car owners out there. 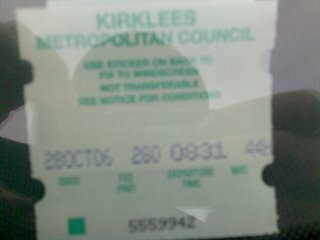 Maybe I'm being geographically challenged here... but why are Sheffield Council putting Kirklees parking stickers in their machines? Good spot Ed. I was parked in Huddersfield (Kirklees) where I took the work car to Sheffield. It was my car that had the ticket on while I was in a different local authority area. Hope this clarifies things!